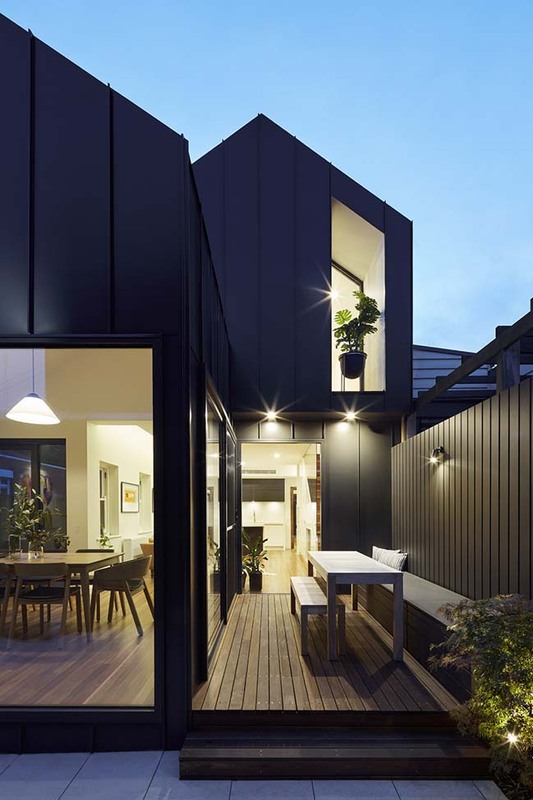 Designed by Nic Owen Architects. 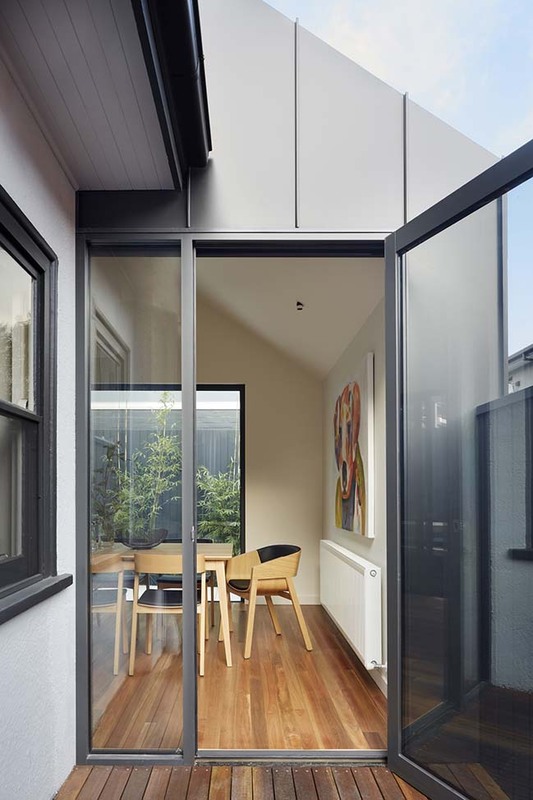 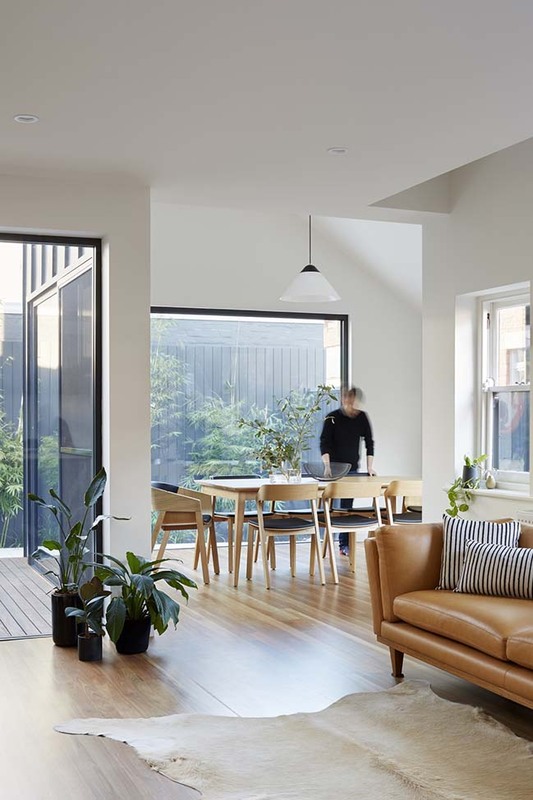 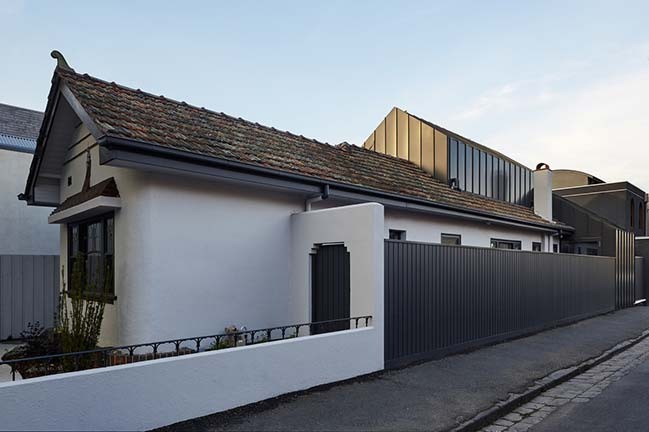 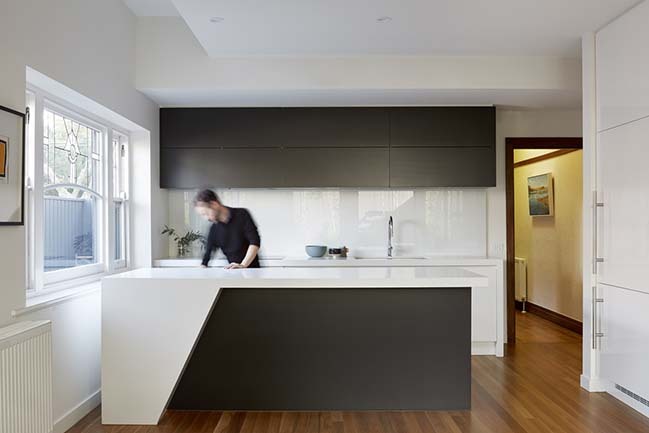 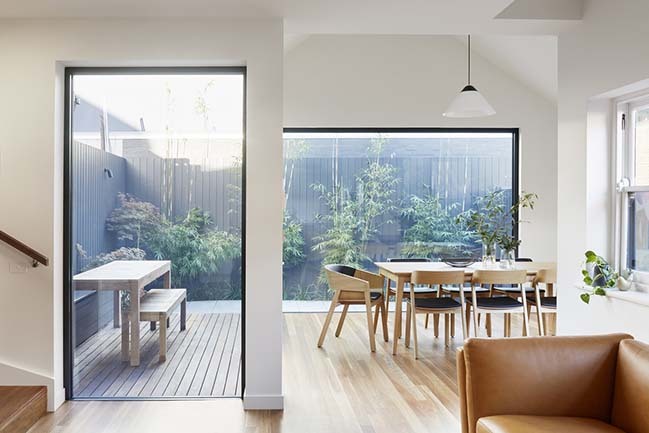 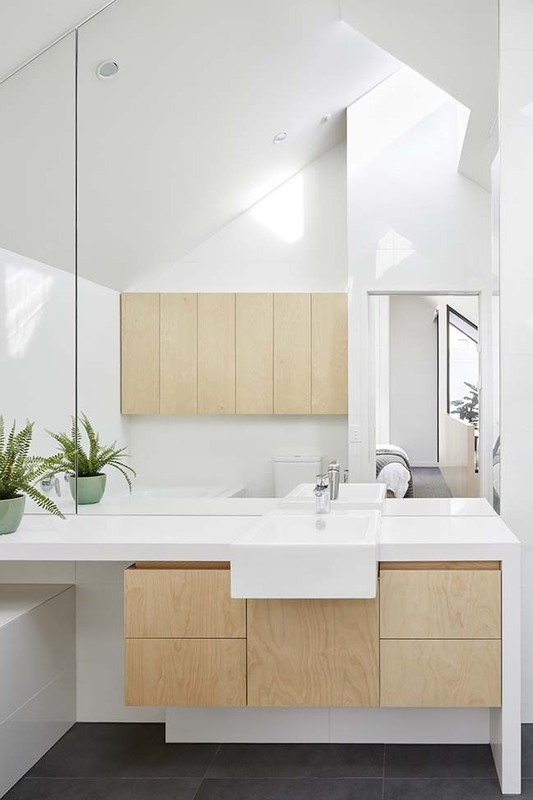 The shadow house, a three-bedroom inner city residence on a small site offers a sympathetic response to historically sensitive inner-city living. 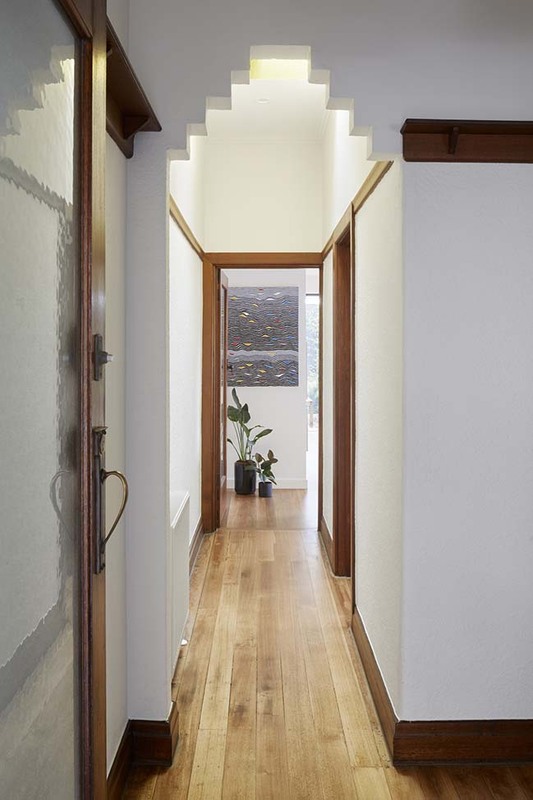 From the architect: The existing dwelling, titled “O’Brian house,” is an Art Deco house created in 1938 for John Patrick O’Brian, a librarian. 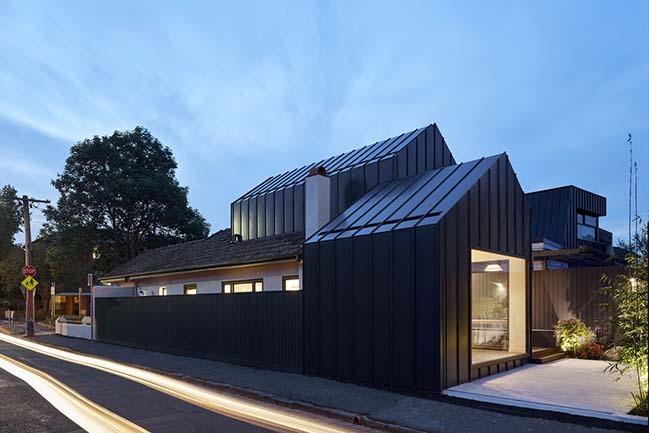 The property is significant due to the highly distinctive gabled and hipped roof, as expressed by unusual brick window hood details and the curved entry porch formed all set on a corner site. 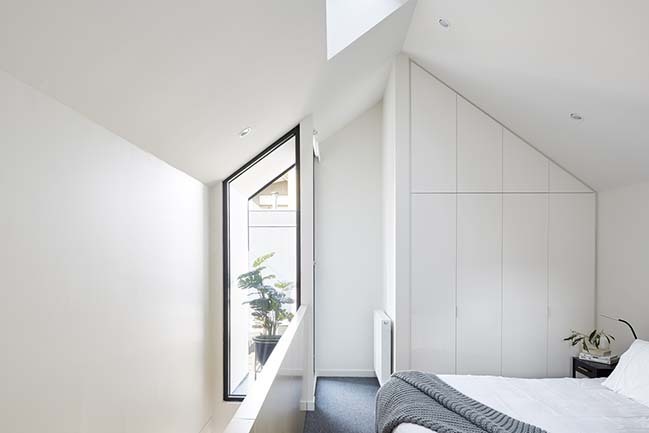 The owners required more usable space, light, better relationship to the outside, an extra bedroom plus a modern fit-out throughout.